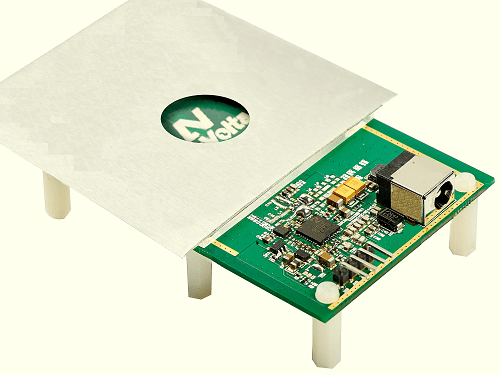 NuVolta is a startup focused on wireless power technology and high-frequency power management. Since metal cases have been headaches for wireless charging companies, NuVolta has found a work around to join the two together. We believe this is far from a solution, but rather it’s a workaround for the conflict at hand. NuVolta has made it possible to transmit 10W of power by having a 15mm hole on a metal plate. The hole could then be covered by a different material which works with wireless charging. Only a 25mm receiver coil will be inside the device, which is perfect for smartwatches and smartphones. The transmitter will also only need to be 25mm, which is just about the same size as the current coils being used for Qi wireless charging. Although this is far from a solution for the conflict between metal cases and wireless charging, at least there is now an option to have both. Manufacturers just have to deal with the opening and find a way to cover it up while still keeping the wireless charging feature. Next articleWireless Charging Cars, How Does It Work?